Presidents Who Were Preacher’s Kids? Many parents of the presidents were deeply religious and wanted their sons to be preachers. President William McKinley had a wire laid from the White House to his mother's home in Ohio so he could hear her pray for him each night. According to some reports, Mrs. Cleveland was deeply disappointed that her son spurned the ministry for public life and became president. Oh well. Three of the presidents, Arthur, Cleveland and Wilson, were preachers kids. 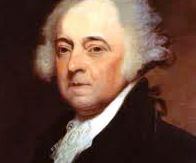 John Adams was sent to Harvard to train for the ministry. His family was disappointed when he switched to law. President Chester Arthur was a PK. His father, William Arthur, was a Free Will Baptist preacher. 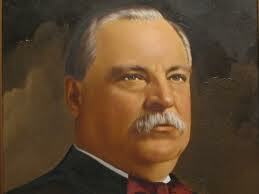 President Grover Cleveland. His father, Richard, was a Presbyterian minister. President Woodrow Wilson. His father, Rev. Joseph Ruggles Wilson was one of the founders of the breakaway Southern Presbyterian Church (PCUS). Presidents who were sons of Politicians? Not surprisingly, many presidents were sons of politicians. 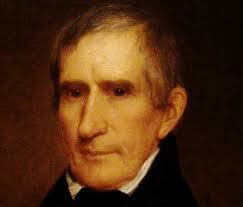 Three, William Henry Harrison, John Tyler and Franklin Pierce, were sons of governors. Benjamin Harrison, the father of our ninth president, served as governor of Virginia from November 30, 1781 to November 20, 1784. 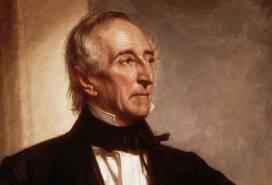 Judge John Tyler, father of our tenth president, served as governor of Virginia from December 12, 1808 to January 15, 1811. Benjamin Pierce, father of our 14th president, served 2 terms as the Constitutional Executive of New Hampshire, 1827-1828 and 1829-1830. Two presidents, John Quincy Adams and George W. Bush, were sons of presidents. President William Henry Harrison. His father, Benjamin Harrison, V was a signer of the Declaration of Independence and served as the governor of Virginia. President John Tyler. His father, John Tyler, Sr., called Judge Tyler, was governor of Virginia. 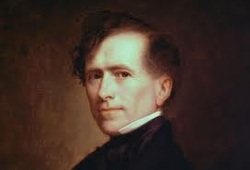 President Franklin Pierce. His father was governor of New Hampshire. 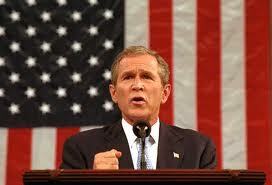 George W. Bush and John Quincy Adams, were sons of presidents who became presidents themselves.